Despite its early growing pains, the Electric Vehicle (EV) market has finally shifted out of first gear, and EVs are beginning to pop up in cities across the United States. But as EVs grow in popularity, many have begun to wonder exactly how many greenhouse gas emissions are saved by driving around in an EV. After all, if you plug-in an EV in a region powered by coal energy, wouldn’t you be emitting greenhouse gas emissions all the same? A new report from the Union of Concerned Scientists (UCS) has finally provided a comprehensive analysis of the environmental and economic impacts of EVs. Focusing on such vehicles as the Nissan Leaf, Chevy Volt and others, the UCS graded regions in the US based on the amount of emissions an EV would generate. Using a map of the US, they applied three categories to regions across the country to determine how environmentally beneficial EV ownership would be. The three categories were “good”, “better”, and “best”, and reflected how EVs compared to gasoline-powered cars in terms of greenhouse gas emissions. They found that 45 percent of the population was located in regions considered “best” for EV ownership. Even in regions powered mostly by coal energy, EVs emitted less greenhouse gas emissions than the most efficient gasoline-powered cars. In addition, the UCS also looked at the operating costs associated with EVs, and determined that EV owners could save $750 – $1,200 per year on gas prices. Every $0.50/gallon gas prices go up, EV owners could save an additional $200 per year. Finally, the study highlighted how operating costs and greenhouse gas emissions associated with EV ownership are only going to decrease in the future. What are your thoughts on the EV economy? 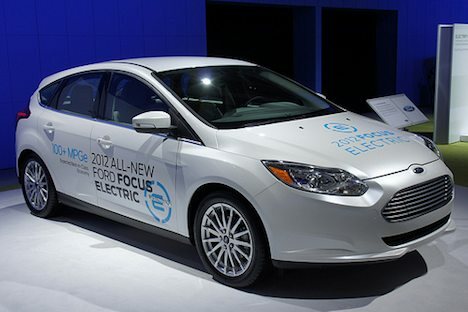 Do you think EVs will become more popular over the next five years?